Napolitano, by the way, never uses e-mail herself. What the hell is UCOP? The Nazis won the war. Is there a link to the NY times letter somewhere? I would love to know who the 15 faculty are who signed this letter, and wonder why there weren't more signatories. At that point only about 15 tenured faculty knew about the monitoring. Untenured faculty were discouraged from signing. 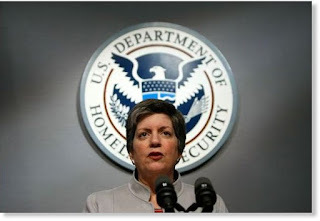 "Janet Napolitano, UC President "
If you really, really care, learn how to encrypt. Isn't transmitting the electronic behavior of students to a 3rd party without their consent a direct violation of FERPA? A Birgeneau cabinet meeting was filmed and multiple topics were discussed including possible persistent practices of nepotism involving an HR 'star' awards program that hands out monetary gifts for performance. Those are just two that come to mind immediately. There was no further clarification or ongoing dialogue from California Hall or U. Hall to the community who viewed the documentary around these important issues that directly relate to 'culture and governance' questions. Issues coming up now repeatedly. Instead they just went radio silent on both. Dirks inherited a mess, quagmires all over. His bio includes: "Prior to joining the Chancellor’s staff in 2014, Nils was the founding Executive Director of Social Science Matrix, Berkeley’s new flagship institute for social scientific research. He spent the previous 13 years as an executive at various software and consulting firms, including Salesforce.com and the Monitor Group." Yet, we are not hearing anything from Cal Hall on this issue. The decision was made to do this at UC Berkeley based on the breaches at UCLA, but: Did UCLA faculty and staff and leadership voluntarily agree to the same arrangements being implemented there,if so when did it happen at UCLA? and nothing was ever said about it? Isn't the Academic Senate a UC systemwide body? Finally, to the comment above on NYT, it does not appear to be the case that NYT published the letter or filed or posted a story on this, yet. Just that their reporter was contacted and given the letter. the online version is old and may have been changed in light of recent events. @cloudminder on the key question of the scale of the program, the Nava letter suggests that it is uniformly systemwide. the At Berkeley material on Operation Excellence is also priceless and predictive of the disaster it has become. FB: a fair amount of post commentary has migrated to what seems to be an easier format that people are already "in" -- meaning it doesn't require going to a specific site. I would love to relink these discussions but that's certainly not how FB is set up . .
No, it is not a Violation of FERPA unless that raw data contains and can be linked to individual persons (not IPA's) which is most likely the case here. I have suspected UCOP of spying on Napolitano's enemies in the student body, faculty and staff since her first day. It's well known among student activists that the police detail assigned to the UC President keeps dossiers on selected students. They even openly admitted such, during Yudof's reign. They think it's OK to do, since supposedly all who have dossiers are suspected of violating various laws and statutes. in the New York Times piece linked above, UC's CIO is cited: "Mr. Andriola emphasized that the program monitored network traffic rather than mining the contents of email messages, for example. “This is not spyware,” he said. In fact, spyware is any programming introduced into a computer network to gather information about a person's activity without their knowledge. It doesn't matter whether it's "only" metadata (which seems not to be the case with the application in question, which can in fact access contents). It's not a good sign that the University's CIO would say that it's not spyware if its main continuous activity isn't to read contents. This is clearly a systemwide problem that needs to be addressed. For individuals who want to avoid being spied upon, a VPN defeats this surveillance. A VPN will encrypt all your network traffic and send it to a server offsite, where it will be unencrypted and distributed from that offsite server. Responses will return to the offsite server where they will be encrypted and sent to you on campus. These services typically cost a few dollars per month and are widely used in China to get around the government's "Great Firewall" which prevents chinese people from accessing certain web sites. I think there was some discussion pertinent to this topic at the May 5, 2011 Regents Meeting. The discussion arose in the context of the need to revise the UC Audit Charter to recognize that the U. does not have an unrestricted right to personal emails of employees, etc, even if the emails are done at work on UC computers - (if I remember correctly). So, in other words, it may to questionable as to whether or not the U. would have a legal right to read employees personal emails, even if they do have that technical abilty. How much does that vendor charge, so far, for their 'services'? Or is that secret, too? Why secure the whole network when with some finesse [perhaps available free at UC] they could focus on 'sensitive' information? @Anonymous yes that is secret too. The firm that UCOP hired, Fidelis Cybersecurity, refused even to acknowledge that it had been hired to this IHE reporter https://www.insidehighered.com/news/2016/02/11/cybersecurity-experts-question-u-californias-handling-network-monitoring-controversy None of the questions about scope and the boundary between external traffic metadata monitoring and content monitoring have been answered, as UCOP spokesperson Steve Montiel maintains wiggle room: "UC spokesman Steve Montiel insists there are no plans to read anyone’s e-mails" http://www.sfchronicle.com/bayarea/matier-ross/article/UC-says-the-cost-of-its-secret-snooping-system-is-6828242.php UC has long had national security systems within its boundaries via the national laboratories. Pending further clarification, it feels to me that these systems and their culture have now become part of everyday campus activity in the form of routine signal monitoring. The refusal to offer further clarification about the program (for example, are all campuses conducting bulk collection of all communications metadata for signals leaving campus?) is part of that culture. I have had the Office of the President of UC on my blog over and over. Just before President Obama came to Anchorage Alaska last fall her office and many security agencies and contractors were all over my blog. Then I had three homeland security agents follow me around, but there was nothing to see. That was a waste of money. They wanted me to know they were following me too, it was really weird. So it is clear Napolitano is continuing to work for Homeland Security. In this case I strongly suspect there is a connection to a certain corrupt politician from Alaska who also has connections to Arizona. So of course she is monitoring everyone's email. Hi Chris, Esther Lezra here. Thank you so much for doing this extremely important work for us.